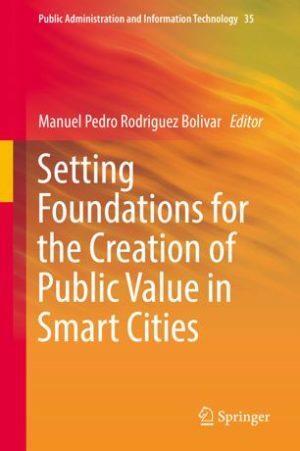 This chapter discusses the preconditions for the development of public smart city services by grounding their design on service-dominant logic. 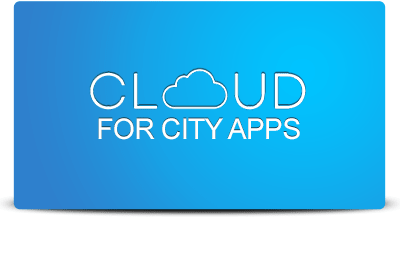 The aim is to pinpoint the critical aspects of the service-dominant approach in the public sector context and smart city development, and on that basis provide an analytical picture of how the instances of smart city development can potentially enhance the ability of public organizations to create public value within service-dominant logic. Figure 1. The superclass of smart city ontology (Komninos et al., 2015). Methodologically, we rely on an ontological analysis that clarifies the core components of both service-dominant logic and the smart city concept. 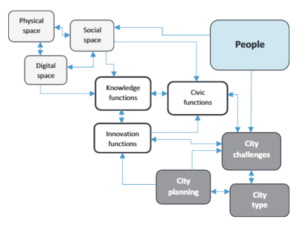 Our findings show that critical intersecting areas, which are vital in utilizing smart city tools in service-dominant logic-oriented public service development, include people’s involvement, knowledge function, smart services, and the service ecosystem. We assert that service design should be based on mechanisms that facilitate resource integration and user involvement within service ecosystems rather than on stand-alone solutions. Figure 1. 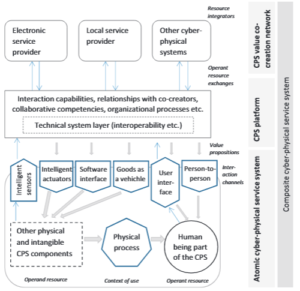 Conceptual framework for cyber-physical systems from the Service-dominant logic perspective. Source: Current article. Cyber-physical systems have a key role in such a process, especially regarding information-intensive services. The development of cyber-physical systems for public services at the core of the public service ecosystem provides a strategic tool for service transformation that opens up a horizon for a major advance in value co-creation in the public domain.